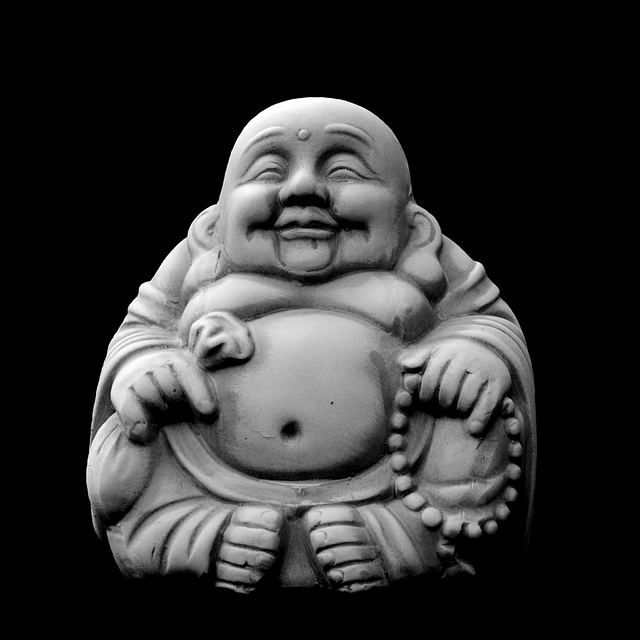 The Laughing Buddha tea cosy was inspired by images and statues of happy buddha's that are just so heart-warming. 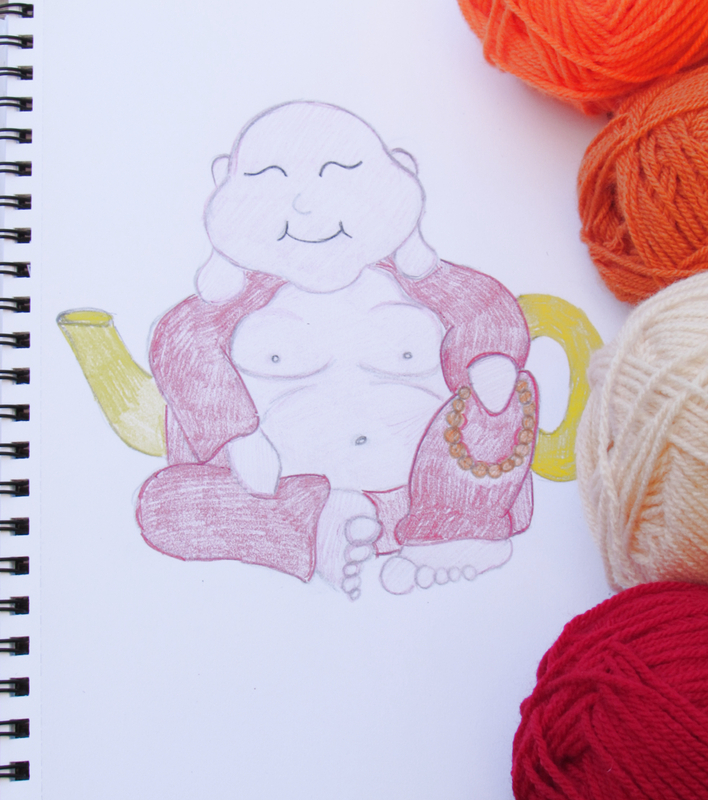 The Laughing Buddha is a Feng Shui symbol of joy and wellbeing and I thought this would be perfect for a tea cosy. 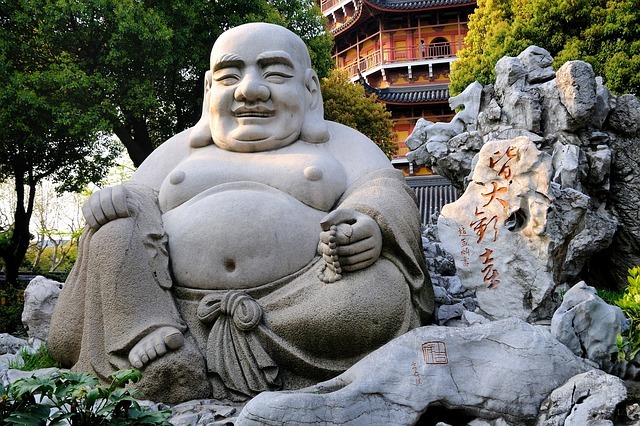 I love the images of the fat little Buddha with his happy laughing face, and his chubbiness lends itself to the shape of a tea cosy. 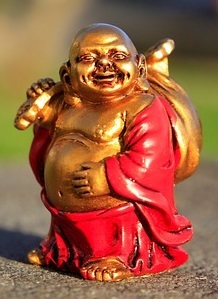 I did have to research some of the symbolism of the happy Buddha, the elongated ears, the beads, the robe and the bag. Seems like my research took me on my own journey of enlightenment. I have included all the symbolic items in my design, the bag of money will be on the back of the tea cosy to help with the balancing. 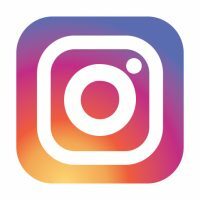 I have chosen to go with a red robe because it seems that the red robe preceded the orange robe, but I will make his beads orang, which nods towards the colour now more associated with Buddhists. 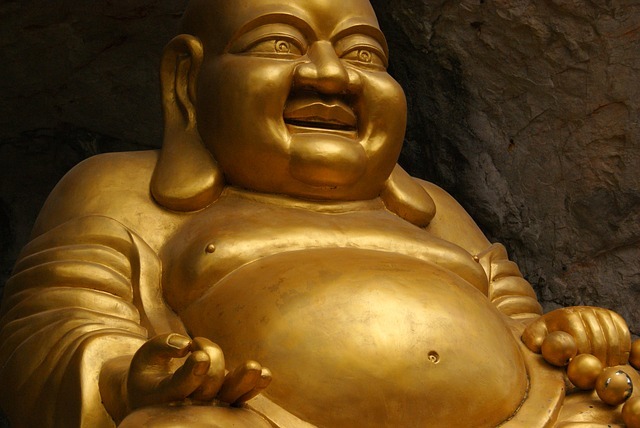 I like the colour pallet, its bright and cheerful, and warm colours make you feel happy, hopefully as happy as a laughing Buddha. I do like tea cosies that make you smile, and I just think that a chubby fellow, with a happy laughing face would make me smile and bring joy and wellbeing to tea times.